When she’s not running her second-grade classroom at Frontier Elementary, this Wellington High School graduate is running the trails around her community. Today, Lauren Starr’s passion for trail running is right at home at Arden where her family now calls home. Growing up on Flying Cow Road, Lauren felt her best when spending time in the great outdoors. She was always outside with friends and family who shared her love of nature and an active way of life. “I dreamed of providing that same healthy lifestyle for my own children one day,” she said. Today, Lauren is living her dream with her husband and two children at Arden, a scenic community west of Wellington on Southern Blvd. that was designed to foster an active, outdoor lifestyle. Her family chose to settle down in this idyllic neighborhood for its focus on healthy living and its many unique amenities that encourage a connection to nature. Three to four days a week, you can find Lauren running along the trails that meander around Arden. The picturesque property features an expertly-mapped trail system with 20 miles of trails that wind around sparkling lakes and weave over grassy hills throughout the peaceful community. 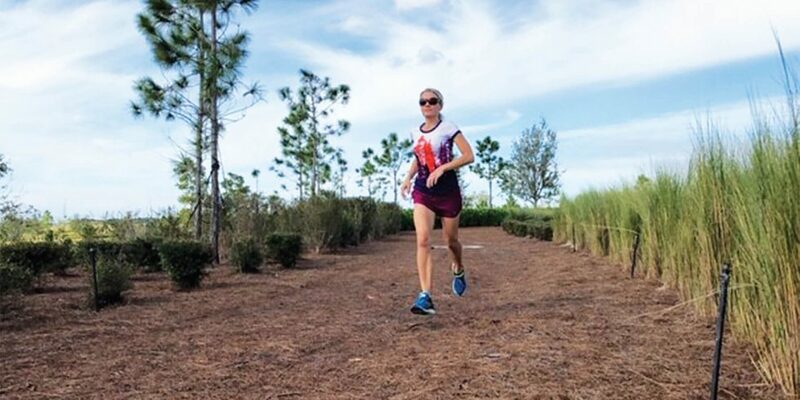 These trails provided a perfect place for Lauren to train for the recent Key West Half Marathon. “The trail loop I run is around nine miles,” she said. “One of the great things about Arden is all of the different areas to run and the different terrains along the trails.” This range of terrain, from soft paths to steep hills, has allowed Lauren to build up the stamina she has needed for all of her races. She appreciates that the community’s trail system was designed by a member of Arden’s development team that runs ultra-marathons, which are races that extend beyond the standard marathon distance of 26.2 miles. Since she hit the ground running several years ago, Lauren has completed six half marathons, along with a number of 5K and 10K races. 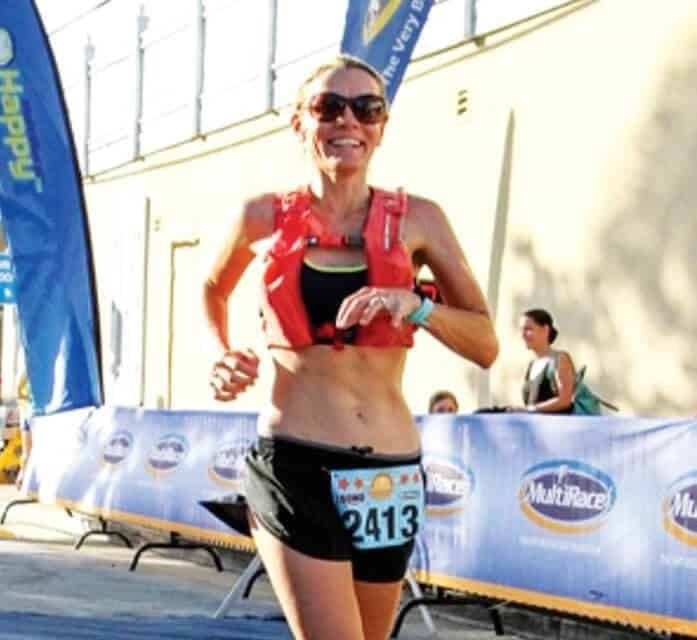 She is skipping the marathon circuit and racing ahead to ultra-marathons. Her training is based on the popular guide by Krissy Moehl titled Running Your First Ultra: Customizable Training Plans for Your First 50K to 100 Mile Race. “But I only run trails, no roads,” she said. When asked why, she explained that trail running was very different than running on roads. Trail runners like Lauren are usually inspired by staying healthy and enjoying nature, while road runners are typically driven by competition and race times. Lauren enjoys running with the local group, Down to Run (DTR). This trail running company supports a variety of trail running events, organizations and athletes with a passion for trails and nature. Founded in 2012 by a group of avid runners, DTR promotes a healthier lifestyle and empowers athletes to discover the positive changes that trail running brings to life. In fact, Lauren’s favorite race is the Full Moon Night Trail Run at Jonathan Dickinson State Park in Hobe Sound, which is sponsored by DTR. As its name suggests, this race is run at night and all of the runners rely on headlamps and the light of the full moon to guide their paths. She loves this race because it’s a natural adventure where she’s surrounded by wildlife while tackling the challenging terrain of the park, from pine woods to mangroves and river swamps. 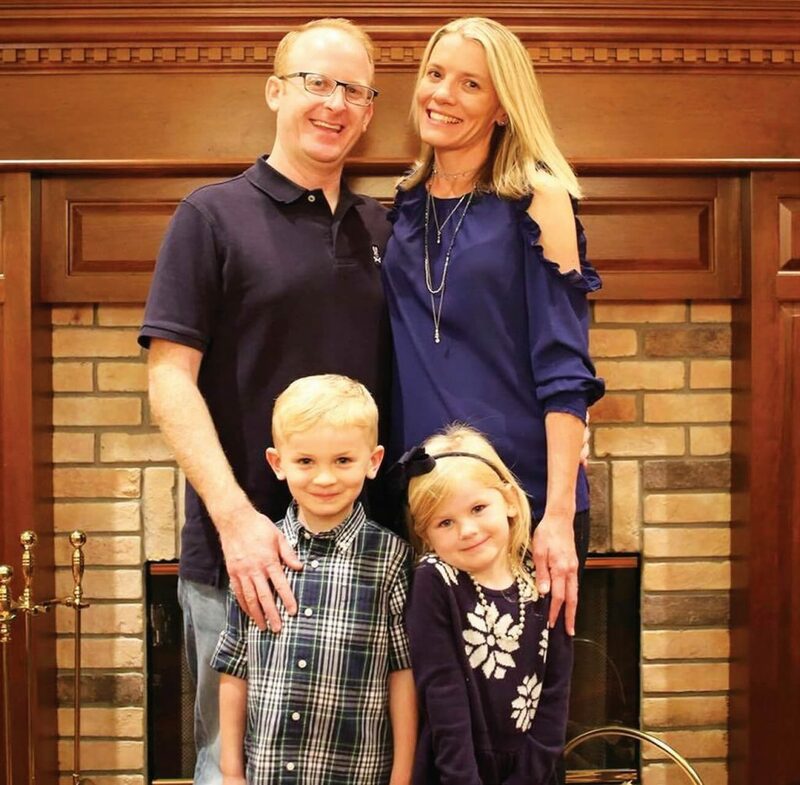 Lauren Starr and her husband Matthew, along with their children Ryan and Kate, moved into their dream home at Arden in December 2017. Her goal is to run in the DTR Endurance Challenge in April, which is also at Jonathan Dickinson State Park. With this 50K daytime race, she will be able to enjoy the natural beauty and wildlife of the park, while running its miles of demanding trails. But running these races will require plenty of training, which Lauren is tackling by hitting the miles of trails around her Arden home. While she’s incredibly focused on her training, she’s also smiling at friendly neighbors strolling along the trails, as well as waving at families enjoying evening bike rides, and saying hello to the new faces that keep arriving in the development. “One of the best things about living at Arden is the strong sense of community,” she said. “Many of our new neighbors have kids so we all sit outside together in the evenings, the kids playing and the parents chatting.” Her family also enjoys the lively gatherings and seasonal events hosted by the community’s Lifestyle Director that bring all of the neighbors together. While Lauren sees herself running for many years to come, her favorite part will always be running home to her family in the Arden community she loves.